(Charlottetown, P.E.I.) – The Symons Medal and Lecture Essay Contest invites PEI students in grades 11 and 12 to submit an original and creative essay on the State of Canadian Confederation. Winning essayists will receive prizes totaling $2,000. Photo Cutline: The Right Honourable Prime Minister Justin Trudeau is the 2017 recipient of the prestigious Symons Medal from Confederation Centre of the Arts. 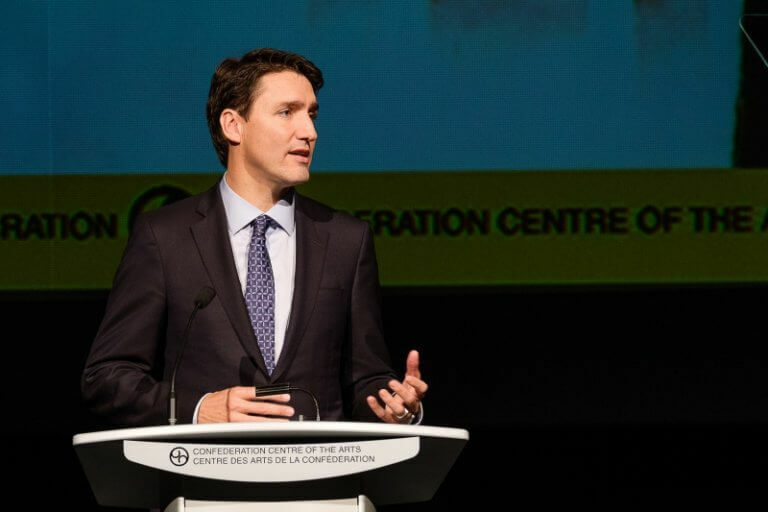 Mr. Trudeau received the Symons Medal and offered his thoughts on the current state of Canadian Confederation in a public ceremony at Confederation Centre on November 23, 2017 (image Louise Vessey).